Galaxy Electric Wire Binding Machine is designed for frequent use in a large office environment. 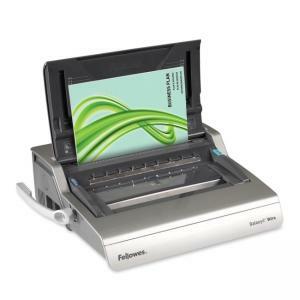 Heavy-duty machine electronically punches up to 20 sheets at a time with a simple touch of a button and binds up to 130 sheets with a 9/16" wire comb. Vertical document-loading ensures accurate punch alignment. Built-in comb wire storage tray has an integrated document measurement device for added convenience and quick setup. 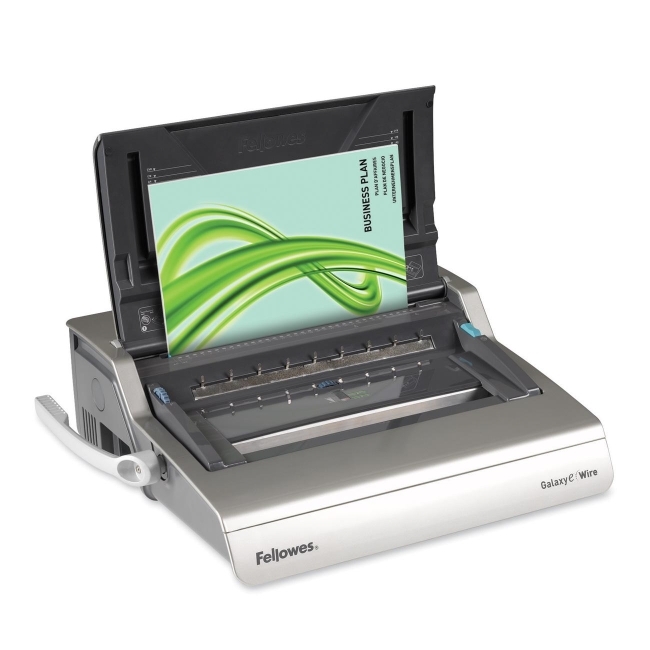 Pre-selectable closure control provides easy wire closure for binding multiple documents. Adjustable edge guide centers documents with ease. Integrated chip tray with burst-out feature eliminates jams. Front access full-size storage tray holds materials and documents.